Use Mini Mortgage Manager to quickly find out how much your home loan or finance is going to cost in the short term and during the lifetime of the loan. All the important information is displayed on one screen and the numbers can be adjusted using the simple sliders or by just typing the desired amounts in. Mini Mortgages has been tested world wide and even works in Canada where mortgages are calculated semi annually. 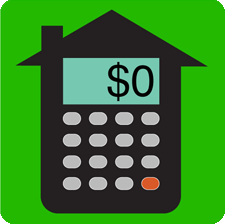 Lastly you can view your mortgage or loan amortization table with a single tap, then you can email this data to yourself and copy and paste into Excel or Numbers for further analysis.